This Huon Valley Day Drive will take you to the south of Hobart. The Huon Valley is a very picturesque area that has easy to access the wilderness rainforest at Geeveston. If you really want to make a day of it, you can drive to the finish of the Cockle Creek Road – the end of the line – the most southerly point in Australia that you can drive a car. The first Europeans to arrive in the Huon did so in 1792 when Frenchman Admiral Bruni D’Entrecasteaux explored and named the area after his second in command, Huon de Kemadec. 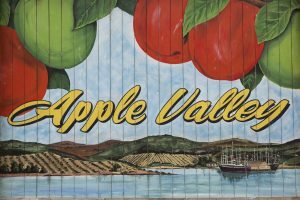 The first European settlers arrived in 1840 and began the apple growing industry that was to dominate the area until its decline in the 1950’s. However, today it is coming back for extra high quality fruit. Apples, pears, cherries and fish farming are the main Huon Valley products. The Huon Valley stretches inland from Huonville and here the river is narrower and winds through rural country around the towns of Glen Huon and Judbury. 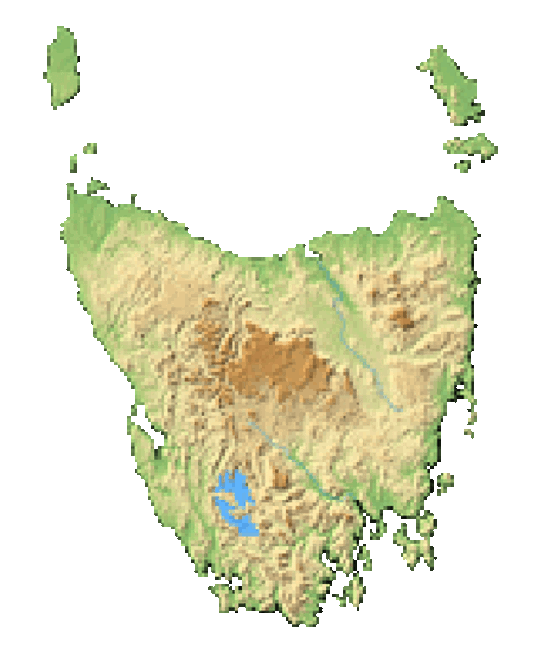 The surrounding hills are covered in thick forests that stretch all the way to the west coast of Tasmania. South from Huonville, the River widens and becomes a very scenic estuary. By crossing the River at Huonville and following the west bank, you drive on to Franklin, Port Huon, Geeveston and south all the way to Hastings Caves and Southport. The drive will follow the old, mountain road on the way to the Huon, and then the main, Southern Outlet Road on the way back into the city. Leave Hobart by driving up Davey Street towards Mount Wellington. Do not take the A6 Southern Outlet to Huonville. Stay on Davey Street as it climbs through south Hobart and becomes the B64, Huon Road. You will wind through the foothills of Mount Wellington and on through Neika and Longley, to join the A6 at Lower Longley. This very scenic mountain road was the main road between the Huon and Hobart until the building of the A6 in the 1970’s. From Lower Longley, the road drops into the Huon Valley at Grove, and then runs through cherry and apple orchards to Huonville at the crossing point of the Huon River. Be sure to stop at the Apple and Heritage Museum, on the right as you come onto the level area just before Huonville. It really brings the apple growing industry on which the area was built into clear focus. Huonville, Tasmania, Australia. Image thanks to Tourism Tasmania & Southern Cross Television. Tahune Airwalk, Tasmania, Australia. Image thanks to Tourism Tasmania & Garry Moore. Great Short Walks - South Cape Bay - Cockle Creek. Image thanks to Tourism Tasmania & Geoffrey Lea. Hobart waterfront, Tasmania, Australia. Image thanks to Kathryn Leahy. If you wish to picnic, there are tables and facilities on the Esplanade on the left as you come to the Huon River. The Huon Jet Boat on the River is worth taking a ride in. If interested in exploring some backroads for 30 minutes or so, turn right and follow the C619 Glen Huon Road as it winds through the farmland and crosses the Huon River at Judbury, then loop back into Huonville by staying on the C619. Take the A6 Huon Highway across the bridge at Huonville and follow it south along the banks of the Huon River Estuary through Franklin, Castle Forbes Bay, Port Huon and on to Geeveston. Call in to the Geeveston Forest and Heritage Centre for an in depth look at the history of the area, including the background of the logging industry and the management of the southern forests. After visiting the Esperance Forest and Heritage Centre, take the C31 Arve Road into the bush and take any of the walks and interpretative experiences. Visit the Tahune Airwalk and any other places that interest you. Allow about 2 hours for the Arve Road experience. Drive further south to Hastings Caves and Lune River by staying on the A6 Huon Highway. Lunch is available in Huonville, Geeveston or at the Dover Pub, and there are take away food shops in most towns through which you will drive. You can continue for another hour or so south, right to the end of the road at Cockle Creek (yes, this is as far south as you can drive in all of Australia), but you might want to keep an eye on your timing to allow for a comfortable drive time back to Hobart. Retrace your steps back to Hobart by following the A6 Huon Highway to Kingston and then the Southern Outlet back into the city. The views of Hobart as you come over the hill before dropping down into the city are spectacular. Want to Book This Itinerary?